Rosie is a library media specialist. An avid reader and life-long learner, Rosie enjoys sharing her knowledge and expertise in many areas. The clematis has been around since the 1800s. Today there are more than 300 varieties of clematis. 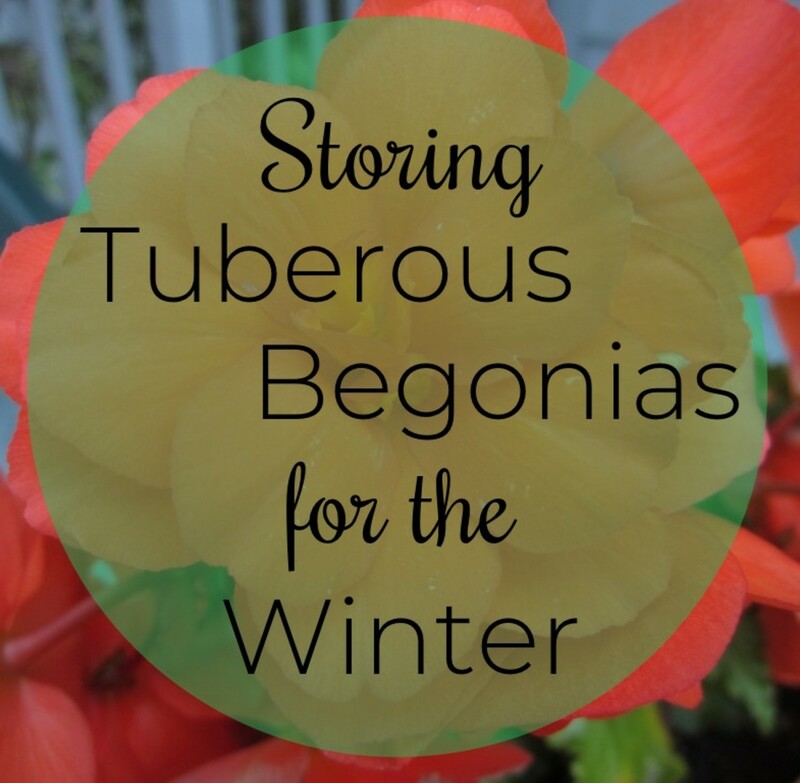 They are perennials—returning year after year—growing larger and covering more area. Easy to care for, clematis have become a favorite for many gardeners all around the world. 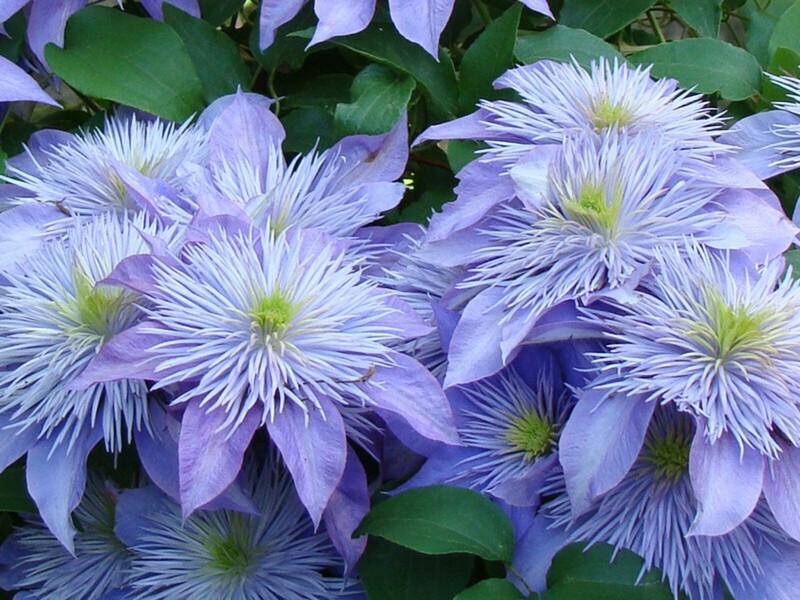 Clematis come in a large variety of colors. They can be red, white, purple, magenta, pink, blue, lavender, cream, gold, brown, and even multi-color. "Beautiful, graceful, and extravagant bloomers, clematis in the garden adds impact, style, and color. As long as their roots are shaded and their faces are in the sun, clematis will climb over almost anything! (Some varieties can even reach 30'!) 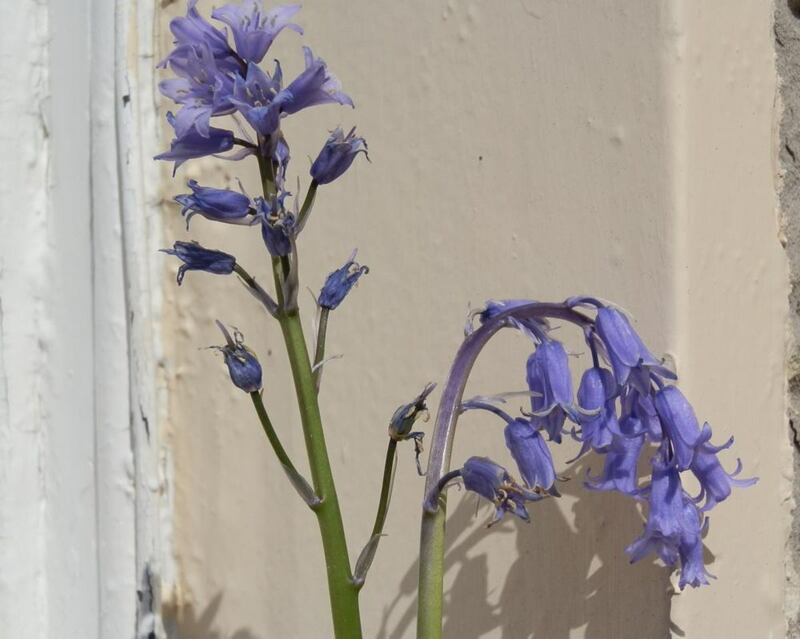 Their stunning flowers climb over doorways and fence rows and lend a fairy tale air to even the most basic of gardens. Perhaps that's why clematis are often called the Queen of Flowering Vines!" 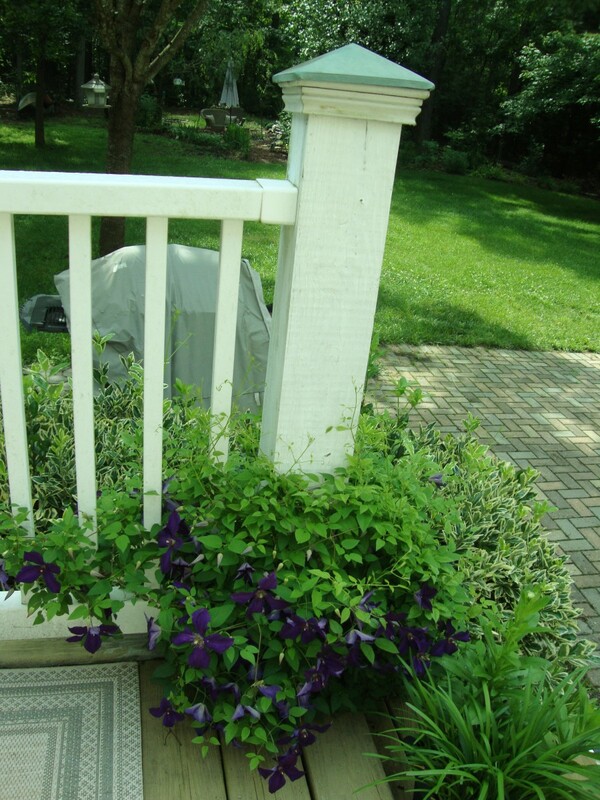 Find a space where the clematis plant can get rainfall. This should be in a sunny spot. 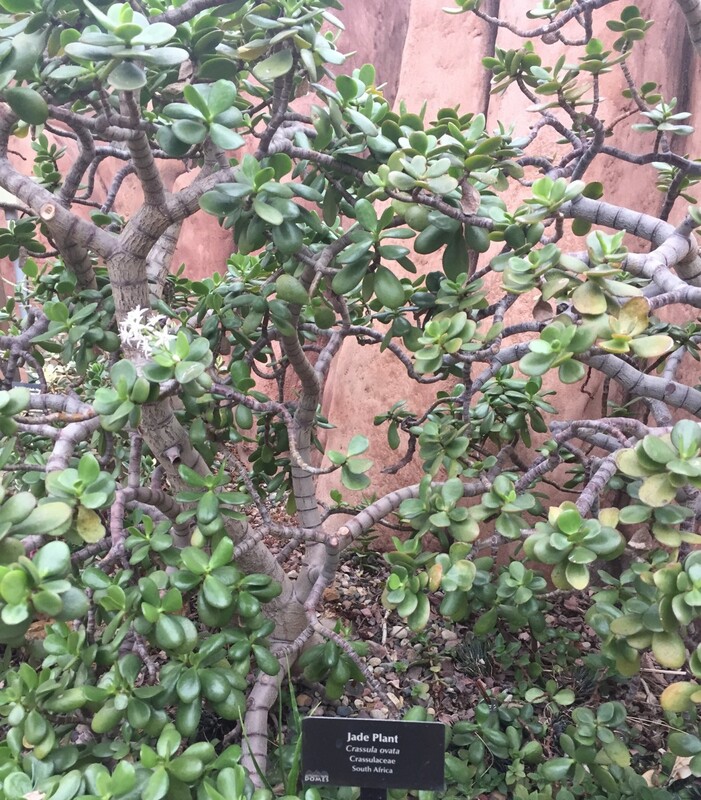 However, the base of the plant should have some shade provided from other plants. Have a climbing structure in place. It can be a sturdy metal or wood trellis, or the plant can be placed near a post, railing, or wall. Clematis will climb on other plants or trees as well, without causing damage as their vines are delicate and light. 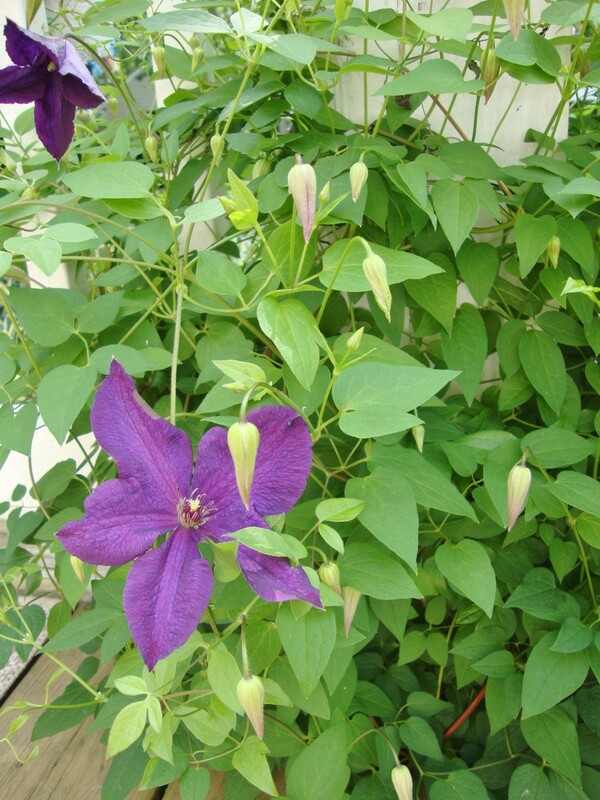 Plant clematis close to the crown of the plant to encourage new growth, similar to how you would plant tomatoes. 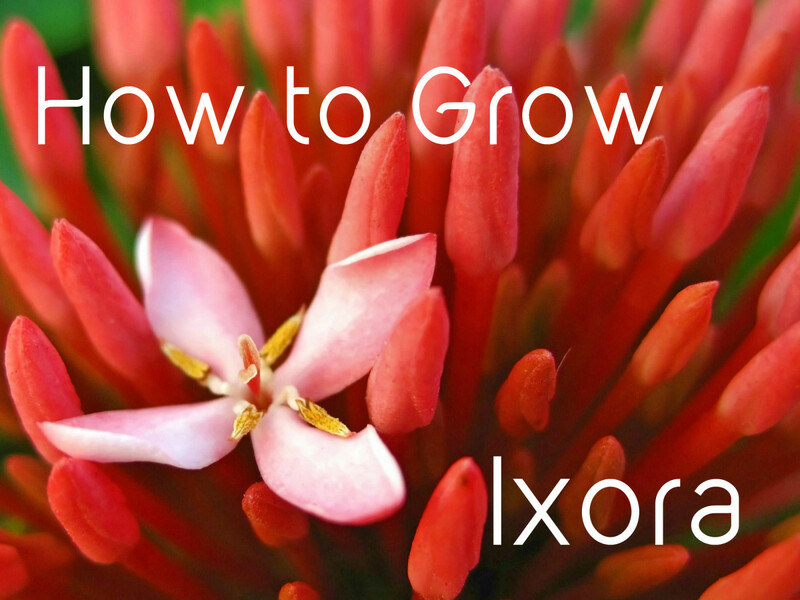 This means you need to plant it deeper into the soil than most plants. Remove the leaves at the base of the plant. Add bonemeal to the soil. 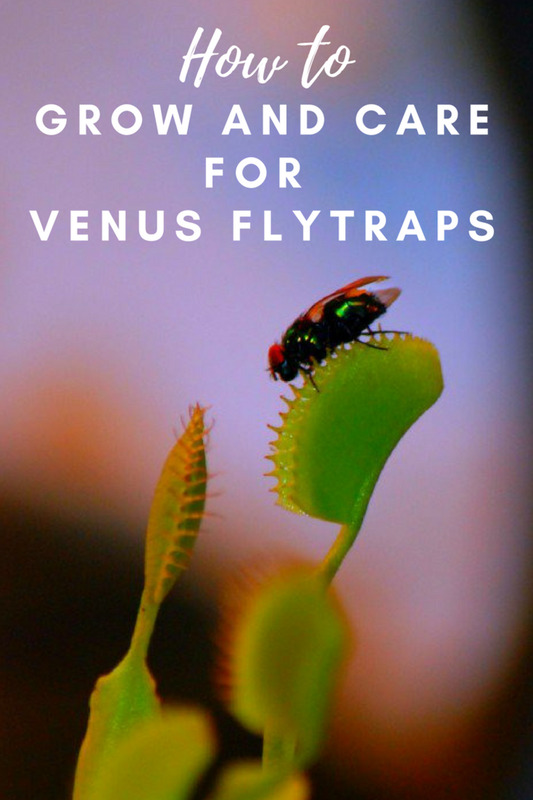 Most gardeners suggest doing this to provide sufficient nutrients to the roots, making the plant stronger. Watering often. This is necessary, especially in the beginning, to ensure the plant will thrive. According to experienced gardeners, the clematis can be pruned any time of the year. However, fall is preferable since the conditions are the least stressful for the plant. The clematis does not require constant watering, however, it will not thrive if the roots are allowed to dry-out. Be sure to water on a consistent basis. Over-fertilizing can cause the leaves to fall off, so be careful and minimize the fertilizing frequency. Provide a supportive structure for the clematis to grow on. 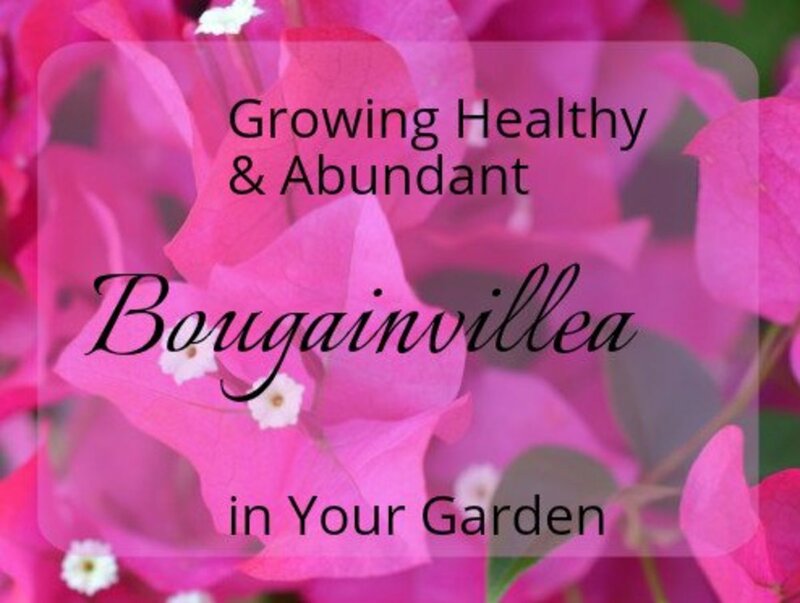 Plant in loose, well-prepared garden soil. Provide a thin layer of mulch around the plant but not more than an inch. The clematis will grow best in full sun. 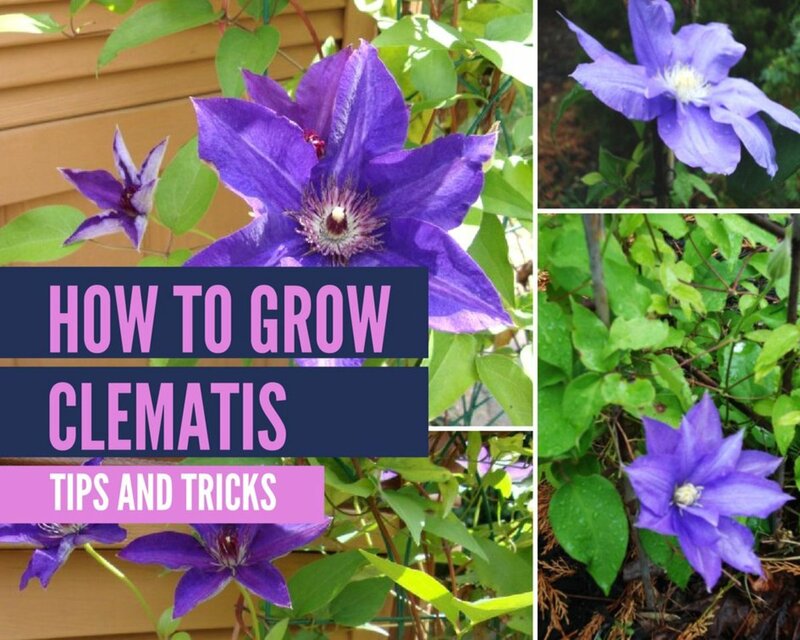 Where can I buy clematis plants? 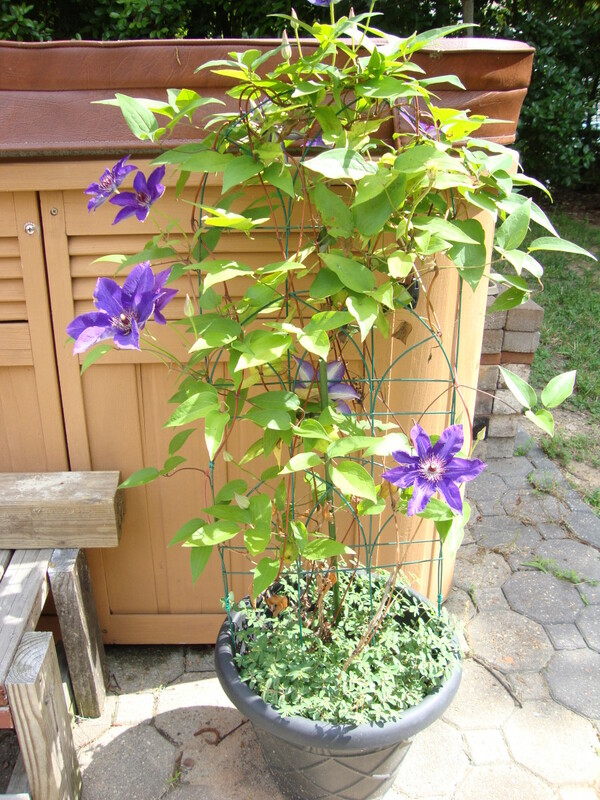 Clematis are often available at Lowe's and Home Depot. I see them every year. 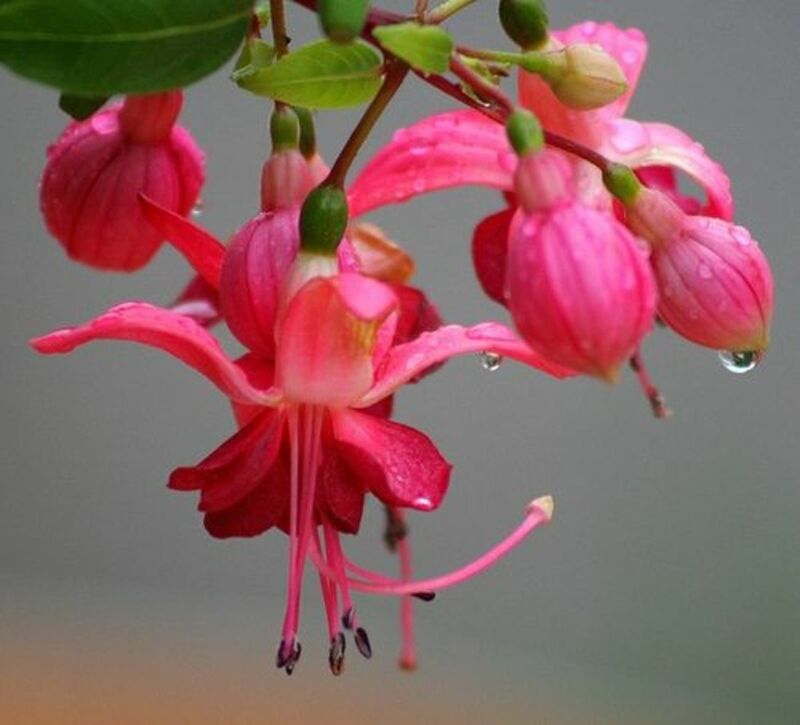 They will be potted in a medium-sized container with a small trellis and may only have foliage. I have brown spots on my clematis plant with leaves dying, can you tell me what the problem is? Clematis wilt most likely which is a fungal disease that may kill the plant if steps are not taken. Trim the affected vines as closely to the ground as possible. Remove all of the dead vines and leaves that have fallen. The roots should be in shade or covered in a layer of mulch and the vine should have sun exposure. Just received two clematis plants look forward to seeing them flower. They are tough plants. I have had one for 15 years and it faithfully comes back even after harsh winters. Thanks for reading! I love clematis and I used to have them in our house. Now, in our cottage, I am still waiting for new growth in my old plant. I hope it survived the tough winter. Thanks for stopping by Glimmer Twin Fan. I've been lucky with my clematis plants more than anything, as I don't always find success with a whole lot of outdoor plants. It may have more to do with the weather in our area. I know also that some varieties of clematis are much easier to grow than others. Take care. Thanks for this. With the exception of one clematis that was the type that did not die back to the ground, I never have much success with clematis and I wish I did. I have seen so many beautiful ones. I move the one I have and still no luck. Pinned so I can refer to this. I have never been successful growing clematis. Probably because where I grow them, the roots are shaded by trees and are too dry. Useful info and voted up! Thanks for reading moonlake. My sister has a white clematis and it is gorgeous. Before writing this hub, I didn't realize there were so many varieties - I will be getting more. Take care! I love Clematis. My white clematis are so pretty this year. I have more getting ready to bloom. Really enjoyed your hub and voted up.